Will The Next-Generation Nissan Leaf's Self-Driving Tech Finally Help It Sell? This may be the first affordable self-driving car. The Nissan Leaf was one of the first practical EVs to go on sale in the US, but we never fell in love with it thanks to its odd looks and less than stelar range. Nissan is now working on the next Leaf, and we hope the automaker does a better job with the styling this time around. 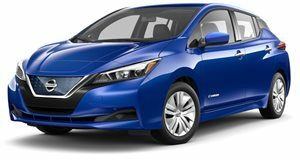 We still know very little about the second generation Leaf, but Nissan has just revealed a bit of information about the car on its company website. The new Leaf will debut Nissan's ProPILOT Assist technology, which will allow the car to drive itself on the highway. Nissan claims this new system is meant to reduce the hassle of stop-and-go highway driving. The system will control acceleration, braking and steering during single-lane highway driving. In the coming years, the technology will be upgraded to eventually be able to navigate city intersections. This system sounds very similar to Tesla's autopilot as well as many adaptive cruise control systems that we have tested recently. The prospect of the car steering itself seems like a worthy addition, but modern adaptive cruise control systems basically do self-driving in stop-and-go traffic already. We have noticed these systems can get confused by cars that suddenly merge ahead of it, so we'll be interested to see if Nissan's system is able to improve on this issue. Perhaps this technology will be the key selling point to finally make us love the Leaf.